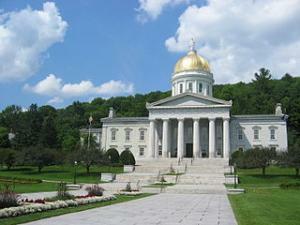 Vermont Legislature Passes Legalization Bill . The state becomes the first in the nation to have both chambers of the legislature approve a marijuana legalization bill after the House voted on Wednesday to approve Senate Bill 22 , a compromise between a House bill that would only legalize possession and cultivation -- not commerce -- and a Senate bill that envisioned a full-blown tax and regulate law. This bill postpones the effective date of personal legalization to next year and creates a commission to study whether to advance on taxation and regulation. The bill has already passed the Senate and now heads to the desk of Gov. Phil Scott (R). It is unclear whether Scott will sign the bill or not. Texas Medical Marijuana Bill Dies . Despite the strongest support yet in Austin, the fight to pass a medical marijuana bill is over. House Bill 2107  is dead, killed by the House Calendars Committee, which failed to take action on it by a Tuesday deadline. Iowa Governor Signs Asset Forfeiture Reform Bill . Gov. Terry Branstad (R) on Tuesday signed into law Senate File 446 , which requires a criminal conviction before property valued at less than $5,000 can be seized by police. The new law also raises the standard of proof from a preponderance of the evidence to "clear and convincing" evidence, and implements record-keeping requirements. Attorney General Sessions Could Bring Back Harsh Drug War Prosecutions . Sessions is reviewing policy changes that could reverse Obama era sentencing practices aimed at reducing the federal prison population. According to reports, Sessions could be on the verge of reversing an Eric Holder memo that instructed prosecutors to avoid charging low-level defendants with crimes carrying the most severe penalties and to avoid seeking mandatory minimum sentences. "As the Attorney General has consistently said, we are reviewing all Department of Justice policies to focus on keeping Americans safe and will be issuing further guidance and support to our prosecutors executing this priority -- including an updated memorandum on charging for all criminal cases," Ian Prior, a department spokesman, in a statement to The Washington Post. Labor Department Removes Obama Rule Blocking States' Drug Testing for Unemployment Benefits . The department will publish in the Federal Register on Thursday notice that it is officially removing the Obama era rule that limited states' ability to force unemployment applicants to undergo drug testing. Congress had repealed the rule under the Congressional Review Act in March. Irish Senators Approve Supervised Injection Sites . The Seanad on Wednesday approved legislation permitting the creation of supervised injection sites with a bill that will allow for the preparation and possession of drugs on such premises. The measure was approved by the lower house, the Dail, in March. Mexico's Drug War Was World's Second Deadliest Conflict Last Year . Some 23,000 people were killed in prohibition-related violence in Mexico last year, making the country second only to Syria in terms of lives lost to conflict. About 50,000 were reported killed in the Syrian civil war in 2016. The numbers come from an annual survey of armed conflict from the International Institute for Strategic Studies. "The wars in Iraq and Afghanistan claimed 17,000 and 16,000 lives respectively in 2016, although in lethality they were surpassed by conflicts in Mexico and Central America, which have received much less attention from the media and the international community," said Anastasia Voronkova, the editor of the survey. Last year's toll is a dramatic increase from the 15,000 conflict deaths in Mexico in 2014 and the 17,000 in 2015. "It is noteworthy that the largest rises in fatalities were registered in states that were key battlegrounds for control between competing, increasingly fragmented cartels," she said. "The violence grew worse as the cartels expanded the territorial reach of their campaigns, seeking to 'cleanse' areas of rivals in their efforts to secure a monopoly on drug-trafficking routes and other criminal assets." Colombian Coca Production More Than Triples . Thanks largely to "perverse incentives" linked to the end of the decades-long conflict between the Colombian state and the FARC, Colombia is growing more coca than ever. As a result, the cocaine market is saturated, prices have crashed, and unpicked coca leaves are rotting in the fields. "We've never seen anything like it before," said Defense Minister Luis Carlos Villegas. The country produced a whopping 710 tons of cocaine last year, up from 235 tons three years earlier.